Beatrice Serne, age 89, passed away peacefully, Monday January 29, 2018. She was the daughter of Rev. and Mrs. Benjamin Laman who preceded her in death. She was also preceded in death by her husband Laverne in 2001; siblings, Esther Laman Flowerday and Howard Laman. She is survived by her children, Linda Stalder, of Barberton, Ohio, and Brian (Becky) Serne, of Holland, Michigan; grandson, Gregory (Rochelle) Stalder; great-grandchildren, Kari and Connor; brother, Harv Laman. 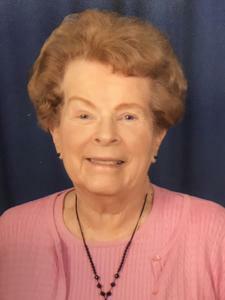 Mrs. Serne was a member of First Reformed Church of Holland and sang in the choir for several years.